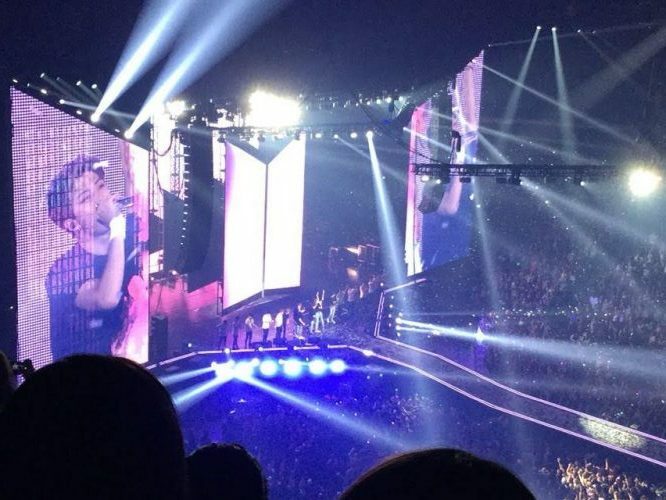 RM at the Prudential Center during their Love Yourself Tour. Photo credit: Danielle Cruz. Nearly two and a half years after the release of his first self titled mixtape RM, the leader of South Korean Band, Bangtan Sonyeondan (BTS), released his second mixtape Mono on Oct 23. Though labeled a playlist on the cover art for the mixtape, Mono was first released for free Soundcloud before being made also available on digital-downloading and streaming sites. Dropped with little warning and almost no promotion Mono quickly rose to no. 1 on Itunes in 90 countries making him the first korean artist to achieve that many No.1’s on itunes. Mono also broke another record when it entered the Billboard 200 chart at No. 26 after only three days of tracking, becoming the highest chart debut by a korean solo artist, beating the record set by fellow bandmate Jhope whose mixtape Hope World debuted at No. 63. RM also rose to No. 1 on the Billboard Emerging Artist Chart once again becoming the first korean solo artist to achieve that ranking. The mixtape has a total of seven tracks: Tokyo, Seoul, Moonchild, Badbye, Uhgood, Everythinggoes and Forever rain. Also released were three lyric videos for Forever Rain, Seoul and Moonchild. Tokyo is the first track on the mixtape and starts off with one of RM’s signature producing choices of including the sounds of Tokyo in the background as a haunting piano melody plays. In Tokyo RM talks about dealing with homesickness and he wonders if he’s actually missing someone or if he’s just missing himself. It gives off a sense of sadness as it seems he is wondering if he can miss himself if he doesn’t even know who he is or if he doesn’t know if he loves or hates himself. Tokyo also sets the theme for the mixtape when he asks “why do love and hate sound just the same to me,” a recurring lyric in most of the songs. Seoul, was co-produced by the British Electronic Duo Honne, and at first sounds like a song dedicated to the city of Seoul. It seems as though he is saying that he loves Seoul because it is where he lives but he also hates the impersonalness of the city with its “fake parks” and the way so many people live together but have no personal connection. In a way Seoul is about city life but one of the lyrics ask why Seoul sounds like Soul and implies that the listener should substitute Seoul to Soul when reading the lyrics. Then the song becomes about his conflicting emotions on himself as he says “If love and hate are the same words/ I love you Seoul/ If love and hate are the same words/ I hate you Seoul.” So now the song seems to imply that he doesn’t know whether he loves or hates himself but all he know is that he won’t and in a way can’t leave and will keep living. Moonchild is one of my two favorite songs off of Mono. It was a song that RM revealed he wrote for the people who can’t breathe during the day due to things like anxiety and depression and are only able to be calm during the night time. He ask for them to keep fighting each day and strive to live until every night. The songs chorus tell them to not cry and enjoy the night time since it’s their time to shine. It’s a song with a fairly sad feeling but sort of hopeful at the same time since he continues to ask them to keep living and comforts them by telling them that they will always have a time shine. Badbye was a track that RM wrote along with one of his long time friend eAeon and is meant to be an interlude in the mixtape. 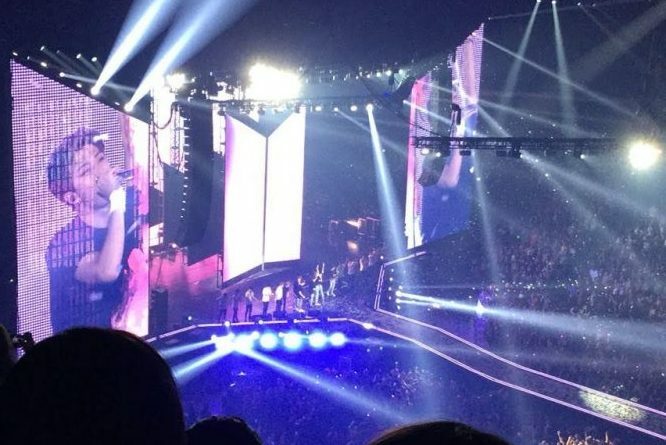 The song is a play on goodbye instead he tells people badbye and is meant to depict someone who is struggling to cope and escape from the emotional pain they are feeling. Everythinggoes was a song RM wrote with fellow South Korean rapper Nell. Everythinggoes definitely has a more positive vibes as he says that what will happen will happen and that pain like everything else in life will pass as he constantly repeats “it will pass”. RM states that he believes that just like the seasons nothing not even hardships will last and that he won’t tell people to cheer up but will encourage them to keep on living by repeating “it will pass” to themselves. Forever rain is also another one of my favorite songs off the mixtape. It was also the one song that RM said that he would want played at his funeral. Here RM talk about his depression and how sometimes he wishes he could stop the fast paced changes of his life. Mono is a big change from his other mixtape which had been directed at all the people who looked down on him when he left to become a part of an “Idol” boy group, now instead he talks about only himself and his struggles and triumphs with his depression and creates a playlist for his life that he hopes will offer comfort to others who feel the same.